Hmmmm…the time of year for favourites…I’ve chosen a dozen, plus a few. It’s been a great year; not so many records sent for me to review so more what I’ve discovered myself through recommendations – the lifeblood of music discovery – hence this top twelve list! First on the list, probably my overall favourite, a recent discovery. Though my good friend Bill has been banging on about Donny for a long time, it took my realisation that Tim Lefebvre was on bass on this album to spur me to check it out. The band is tremendous: great tunes, great playing, great sounds, great intensity. Mark Giuliana’s drumming is worth buying the album for alone. Top notch contemporary electric jazz. OK, maybe tied for top spot. This is a brilliant album. Lyrically hard hitting at times the Frankfurt based Nigerian singer writes incredibly catchy and intense songs. Falling between soul, hip-hop and reggae she seems to embody the spirit of Bob Marley through a contemporary African perspective. Righteous! Gros Ngolle Pokossi play some great basslines. The best Marcus Miller album so far. I’ve always wished he would make one with more of a band sound and less of a produced record sound. This is it (bar a couple of fillers at the end). Miller wrote these tunes with the young musicians in his band in mind and it shows – wicked playing, great writing, lovely record. If you only own one Miller records this is the one! My full review at No Treble. Fabulous record – wonderful, wonderful stuff – this is a long album – the equivalent of a double CD but doesn’t feel like it. Rosenwinkel is the jazz guitarist du jour with his intense, inventive playing and his amazing technical virtuosity (always in service of a deep musicality. The genius of this record is in the pairing of Rosenwinkel with such a gloriously swinging rhythm section (bassist Eric Revis, and drummer Justin Faulkner are regular members of Branford Marsalis’ band). Aaron Parks is incredible on piano too. Another year this would have been my record of the year, in 2012 it’s close! Preview the album here! Uplifting music. In my March review I wrote “This endearing and beguiling record ranges widely, is equal parts lyrical and musical, yet retains a unity of sound and purpose as Spalding creates a confident and coherent new album.” That about sums it up. It’s more extrovert than Chamber Music Society and wonderfully accessible – the sound of jazz reaching out beyond middle aged guys in wooly jumpers – an effective companion piece to Black Radio by Robert Glasper. My full review for NoTreble. Ground breaking. I love this record. Definitely takes jazz to a wider, younger audience though at times to do that it sacrifices solo length to a vocal centred format and the lyric occasionally verge on banality. It is what it is though, a remarkable record of contemporary black music with sophisticated playing and singing. 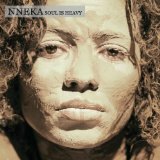 Highlights for me are Erykah Badu and Lalah Hathaway’s vocal contributions, Casey Benjamin’s fabulous short effected saxophone solo on Cherish the Day and Glasper’s piano and Chris Dave’s unique and brilliant drumming throughout. When I can hear the bass it’s great but it’s mixed far too low in both volume and sub-tone to easily appreciate, much as Derrick Hodge is one of my favourite bassists. Vital, exciting trio music. Accelerando was originally written for dancers and it sounds that way, though it must have been an exhausting dance performance! Vijay’s trio with Stephan Crump on drums and Marcus Gilmore on drums are at their best live – one of the most exciting live groups I’ve seen – and at it’s bets, this record captures their stunning, tumbling, complex, organic intensity. Another recent discovery for me. Loueke has a rich toned voice with a timbre and beauty similar to Richard Bona’s. His guitar playing has an angular edge that reminds me of Nguyen Le while also capable of melodic fluency. This album nods to his West African heritage in some of the grooves, sounds and colours and features some fabulous tunes and great playing. Mark Giuliani (again) thrills on drums with his fiancee Gretchen Parlato adding some vocal texture). Derrick Hodge is great on bass and Robert Glasper (producer here) adds some excellent piano. Recommended! Long a favourite of mine, the trumpeter creates a different kind of album here. When his mother was dying she asked Douglas to play several hymns at her funeral service. These are the arrangements of those hymns. The hymn structures and the context give the music an emotional and spiritual depth and the unfussy vocals by bluegrass singer Aoife O’Donovan spell out the lyrics. The band is great. Linda Oh’s bass is a deep resonant centre to the music around which the music develops. Two of my favourite musicians get some studio time, improvise together for the first time without discussing what to play. What’s not to like? 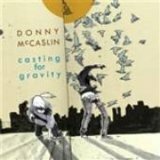 This entry was posted in music and tagged 2012, bass, dave douglas, donny mccaslin, esperanze spalding, fusion, jazz, kurt rosenwinkel, mike outram, music, nneka, philwbass, recordings, records, robert glasper, steve lawson. Bookmark the permalink.